A classic, daily-driver touring poles with an all aluminum construction, the Traverse poles have the features and durability needed for day-in/day-out backcountry skiing. At 19 inches long, the Black Diamond ski strap effectively holds together any pair of skis. This gloriously simple, stretchy strap may be most versatile piece of gear-use it to strap a camera tripod to the outside of your avalung pack, lash skis and poles together for a makeshift backcountry emergency sled, use two to secure your sticks to a car roof-the possibilities are endless. Snag a few and stash them in your ski packs and in your car. They always come in handy. 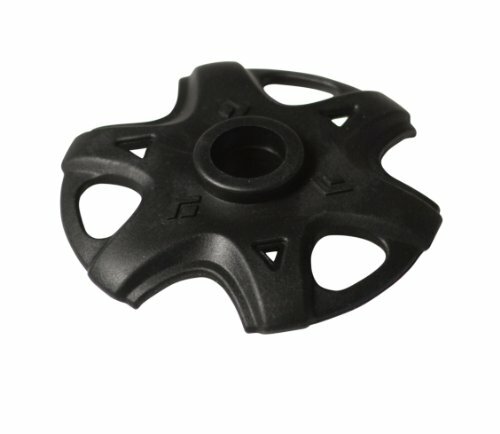 Replacement or add on baskets to convert Black Diamond trekking poles into the perfect freeride ski and touring poles. 75mm diameter baskets with a wide outer ring for powder. Featuring a hard-biting inner ring for increased grip. Ideal accessory for skiing, freeride and ski mountaineering. The legendary 2-section whippet offers proven security and seld-arrest capability when no-fall ski descents are on the menu. For steep, icy bootpacks and added self-arrest security on mega-steep, no-fall terrain, the time-tested Black Diamond Whippet is the ultimate ski mountaineering tool. The Whippet features a stainless steel pick embedded in the pole's grip that can help keep minor slips from turning into slides for life. 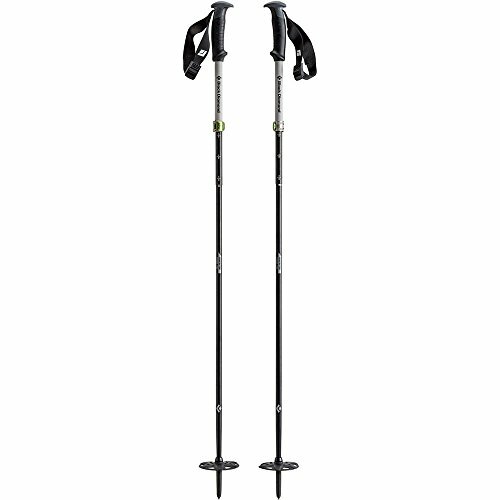 A classic, fixed-length ski touring pole with 4-season versatility, the Expedition 1 features a durable aluminum shaft and extended foam grip that easily transitions from long ski tours to multi-day summer trail outings. 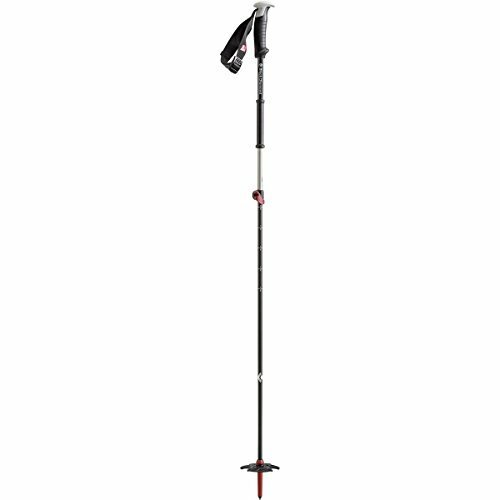 The Black Diamond Compactor Ski Pole is great for ski touring, splitboarding, snowshoeing, or as a convenient, collapsible pole while you're traveling. 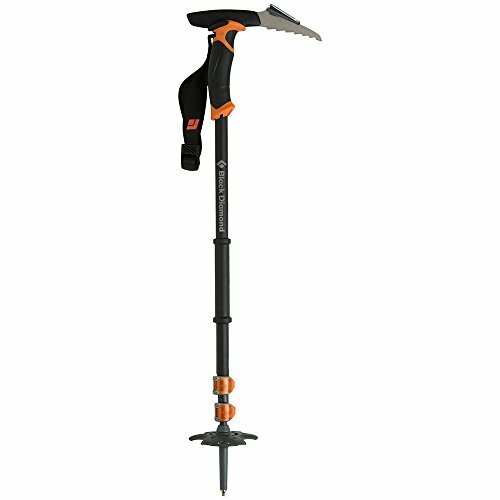 It features proven aluminum construction and Black Diamond's compactible Z-Pole technology for easy breakdown and assembly in just a few seconds. Combining the durability of an aluminum upper with the low swing weight of a carbon fiber lower, the Black Diamond Razor Carbon ski poles are built for the dedicated backcountry skier. The Razor Carbon's redesigned grip offers improved ergonomics, while FlickLock adjustability allows for easy and secure length changes. We also included a rubber grip extension for choking up while sidehilling on the skin track. Designed for dedicated backcountry skiers who demand both technical precision and soft-snow performance, the versatile Helio 105 features a pre-preg carbon fiber layup that makes it extremely light with a balanced flex and supreme edge control.